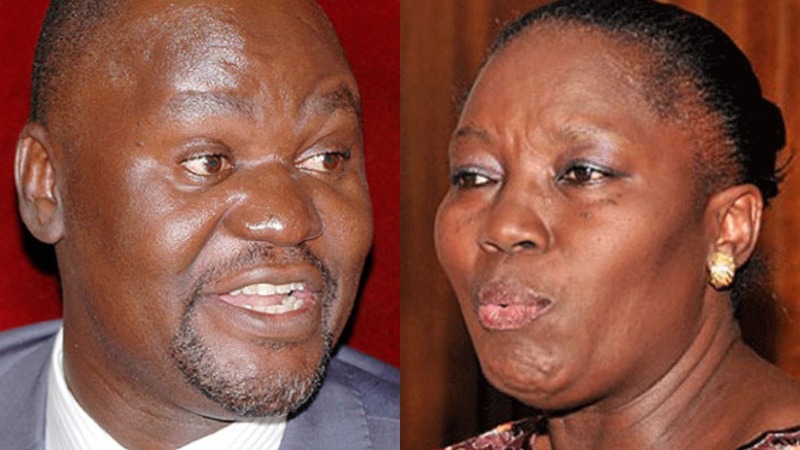 PARLIAMENT – Speaker of Parliament Rebecca Kadaga has said her decision to keep Bugweri County MP Abdu Katuntu as chairman of the Committee on Commissions, Statutory Authorities (COSASE) is for the good of the country. “My request is not to say we shall not have changes but the changes will come after they have reported, I have only request for a slight extension,”she said in reference to the opposition’s demand that Katuntu hands over the leadership of the Committee to Kawempe MP Mubarak Munyagwa even when he is yet to complete the investigation into the controversial sale of Crane Bank and six others. Katuntu’s tenure is set to expire on January 13 but Kadaga insisted that he will first complete the writing of the report on Bank of Uganda. Ms Aol had suggested for part of COSASE to be constituted into a select committee, to continue with the BoU probe and let Munyagwa take full control of COSASE. But the Speaker said that this is impractical. “Can you have a select committee of 30 people?I found that proposal really strange and in my view impracticable, select committees are like 5-7 people, so of the COSASE MP, how do I choose who stays and who should go,” said Kadaga. The speaker said that there would be nothing wrong with the current committee to be given up to end of February to write its report. She said all other committees will end on January 13, 2018, as scheduled but COSASE, given its task beforehand, will have to be given more time.